When faculty members choose which textbooks to assign to their students, they look for trusted names and a track record of quality — not the price tag, a new survey suggests. Read the article. Reading 2 – Student PIRG report on textbook affordability and OER as a solution. College textbook prices have skyrocketed in recent years, threatening the affordability and accessibility of higher education in America. The average student spends $900 on textbooks annually, which can be the tipping point between affording a degree and dropping out because of cost. As prices continue to rise, the need for solutions is increasingly urgent. Read this report published by student PIRGs (Public Interest Research Groups) on the rising cost of college textbooks, and how open educational resources provide a promising solution to the high cost of textbooks. 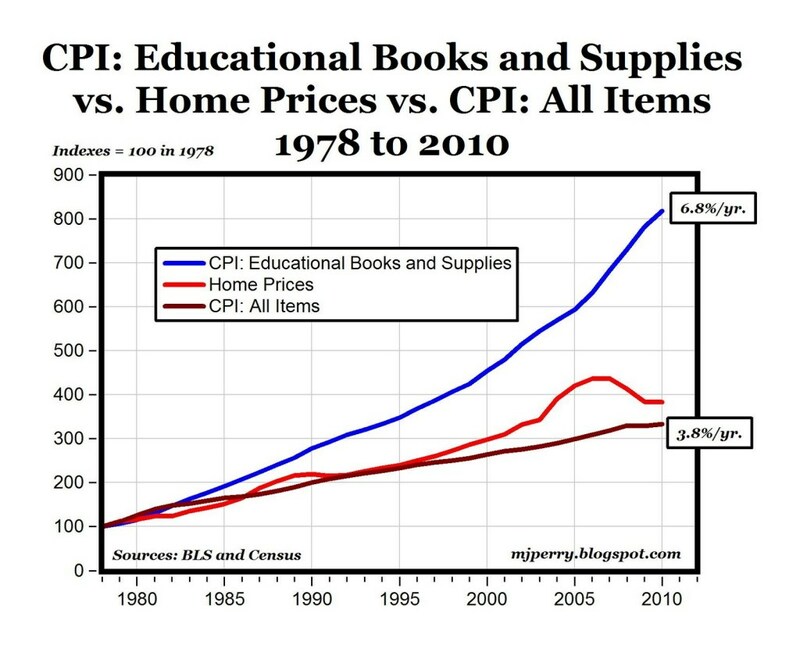 The cost of college textbooks has skyrocketed in recent years. To students and families already struggling to afford high tuition and fees, an additional $1200 per year on books and supplies can be the breaking point. Read the study. Reading 4 – JIME article describing perceptions of OER by college teachers and students. “While much work has been done to create, disseminate, and champion OER, relatively little theory-based, generalizable research has been done to examine its use and impacts (Bateman, Lane & Moon 2012). Vital questions about many aspects of OER still need to be addressed…” Read the article about the Cost, Outcomes, Use patterns, and Perceptions of quality of OER. Over the past several years, VCCS faculty have developed free and openly licensed materials for nearly seventy(70) courses through various OER initiatives and projects, including the Chancellor’s OER Adoption Grant, the Chancellor’s Innovation Fund, and Tidewater Community College’s Z Degree. There are currently 47 unique VCCS courses, most of them high enrollment courses, that have been developed or are in development for use by faculty across the system. Read more of EdTech’s page about OER.